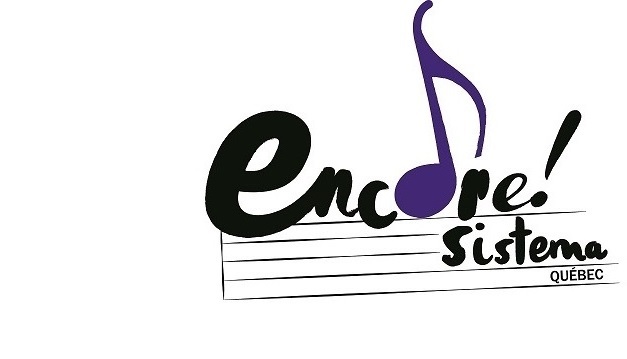 December 2017 – The third year of the Encore!Sistema is off to a strong start, with nearly 100 students registered at the elementary and high school levels. 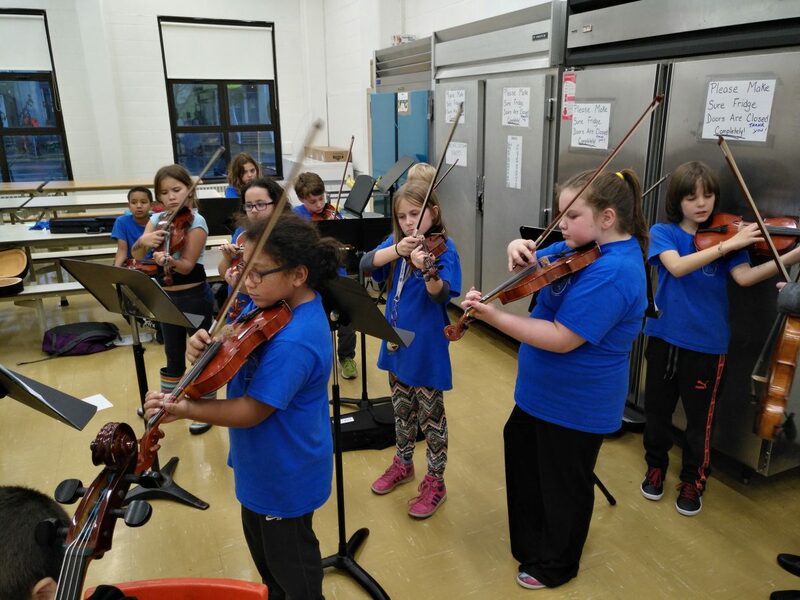 At Saint Gabriel School in Pointe-Saint-Charles, new students are learning to hold the violin and the bow, and playing simple rhythms on open strings. The orchestra (made up of returning students on violin and cello) is playing “Soldier’s Joy” and an arrangement of Haydn’s “Surprise Symphony.” Students attend the after-school program four days per week. At Karonhianónhnha School in Kahnawake, new students are learning foundational musical skills using Orff instruments and singing and movement games. Returning students are working on “Sherbrooke Reel”, a traditional fiddle tune, and “Allegro.” Students attend the after-school program two days per week. They also receive semi-private in-school lessons once they have begun playing the violin or cello. At Kahnawake Survival School, high school students continue to develop their skills on a variety of wind instruments through the after-school band program, which meets two days per week. This year, the program has expanded to include a lunchtime “Guitar Club,” which also meets two days per week. Students learn guitar and songwriting skills.